This is a picture of Bernie Brewers Slide. 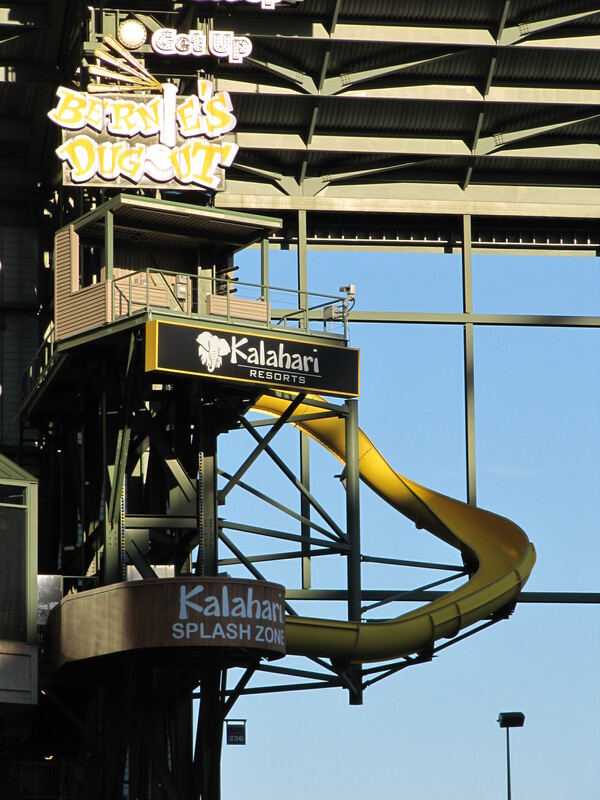 Bernie would slide down this slide every time the Brewers hit a home run. Make sure you check out more of my photos. 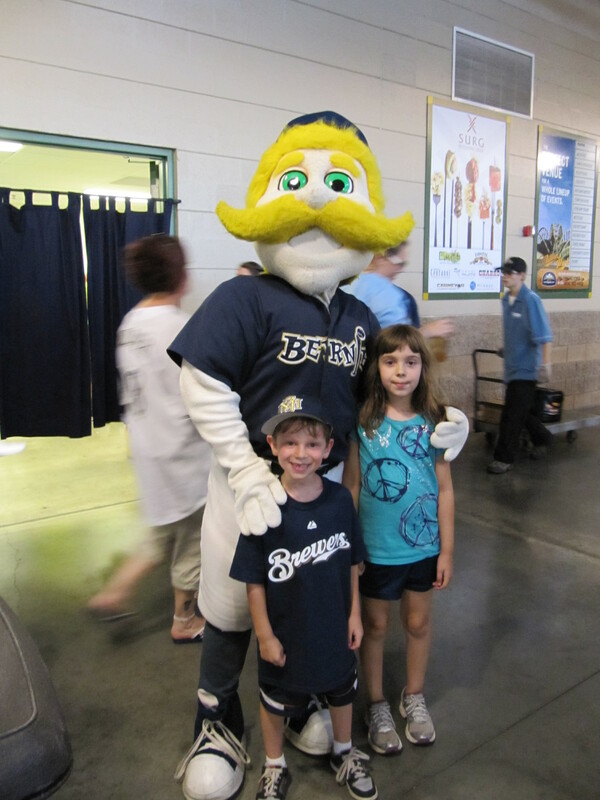 Speaking of Bernie Brewer her he is. This is a picture of Ethan and I taking a picture with Bernie. 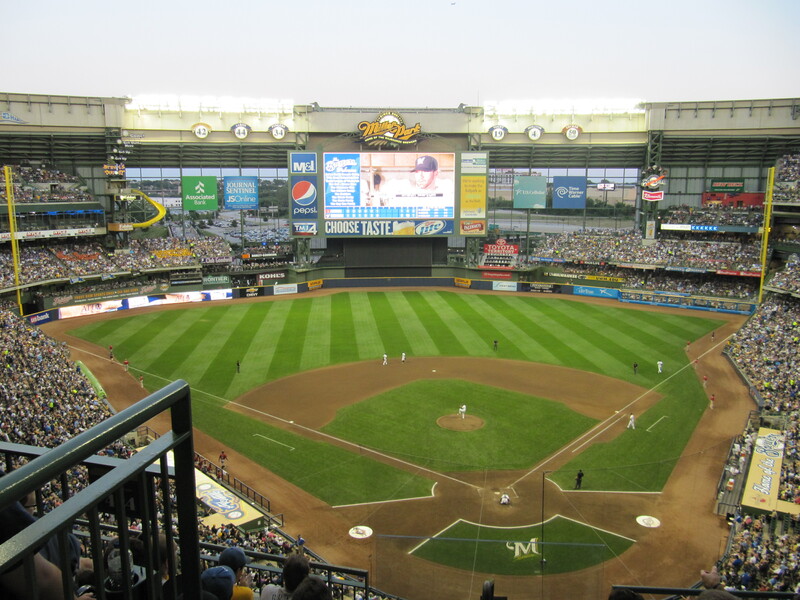 This is a picture of Miller Park. 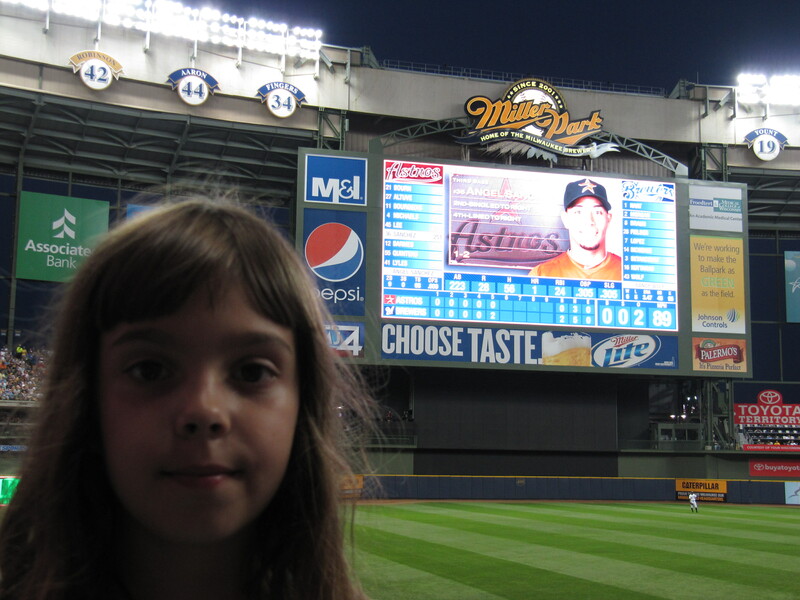 This picture is of me in front of the Brewers score board. In the back ground you can see some of the retired numbers. 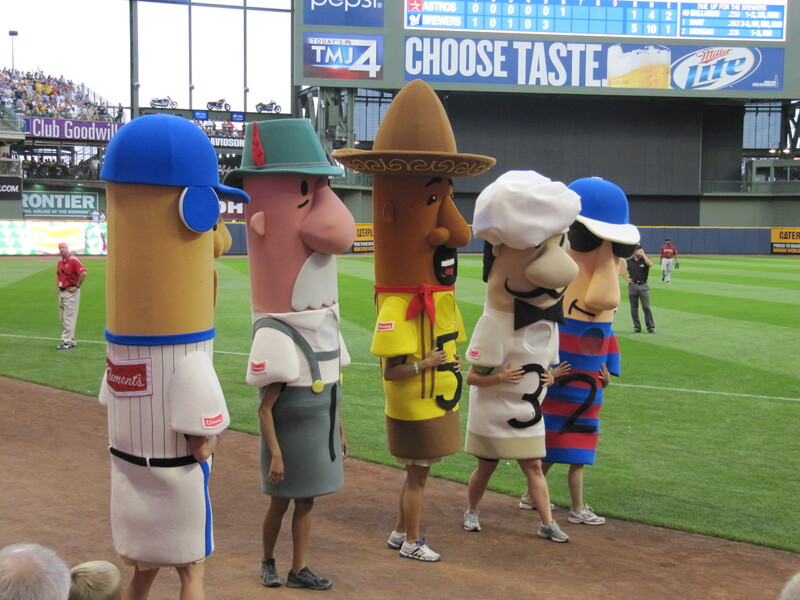 In Miller Park there is the famous sausage race. This is a picture of the five sausages on a clock. 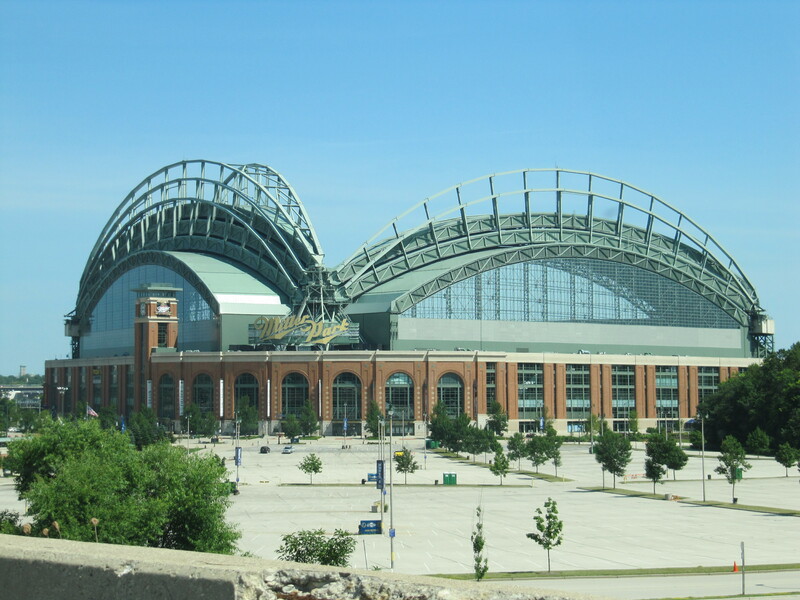 This a picture of Miller Park from the outside on the highway. I think this picture is cool because it shows the reachable roof. In Milwaukee the tailgating is crazy before a game. 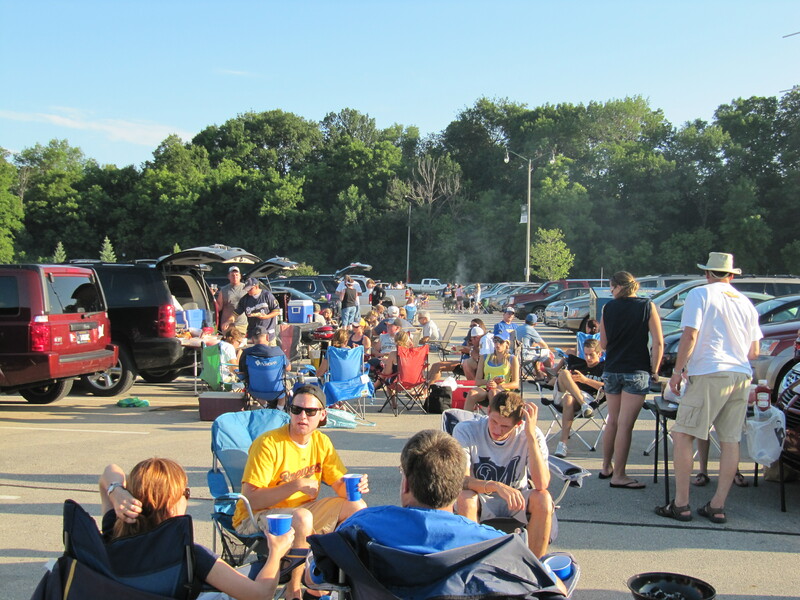 As you can see all the Brewers fans come with there friends, grills and cars and tailgate before the game. This is a picture that my dad took from the top of the stadium. 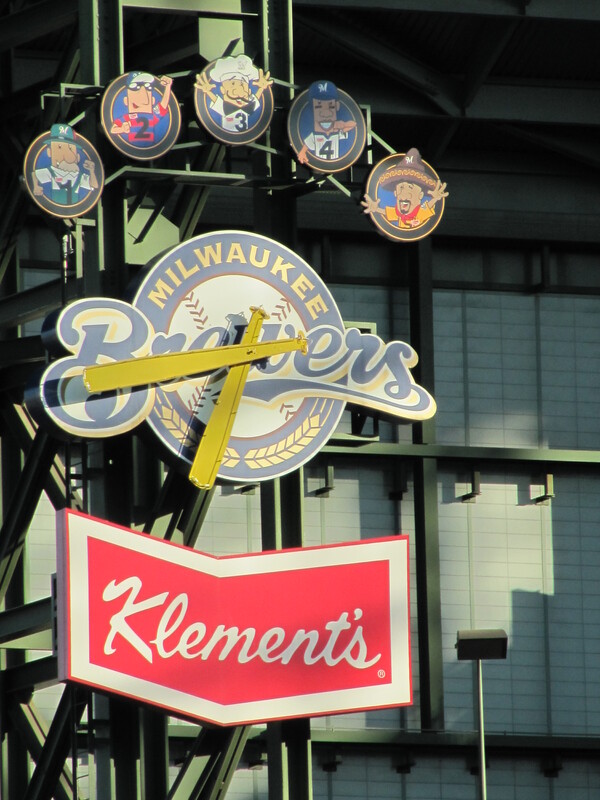 As you can see this is a birds eye look at Miller Park. As I was saying earlier there is always the famous sausage race. This is sausages about to race. GO HOTDOG!